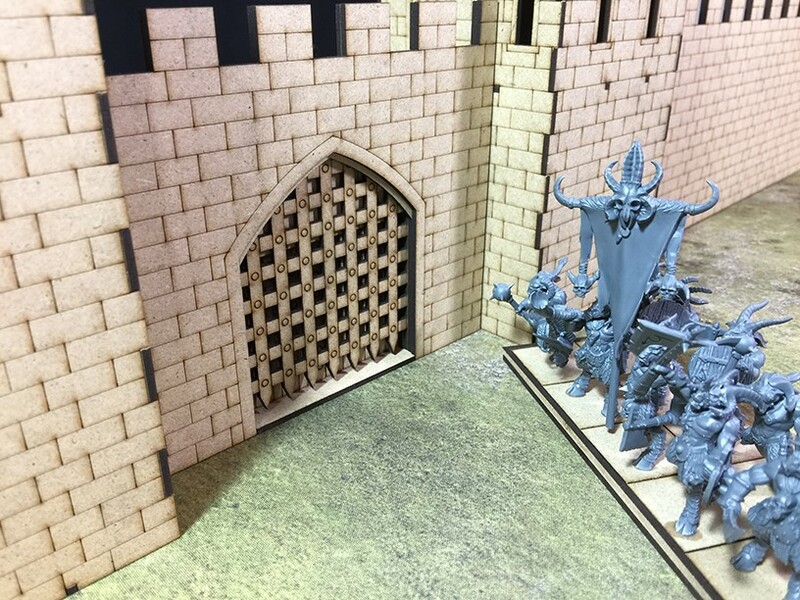 We have released a new stone castle wall set! This is my attempt at 28mm subject. The first wave was put into China and they are great! Second wave will arrive at the end of this month. 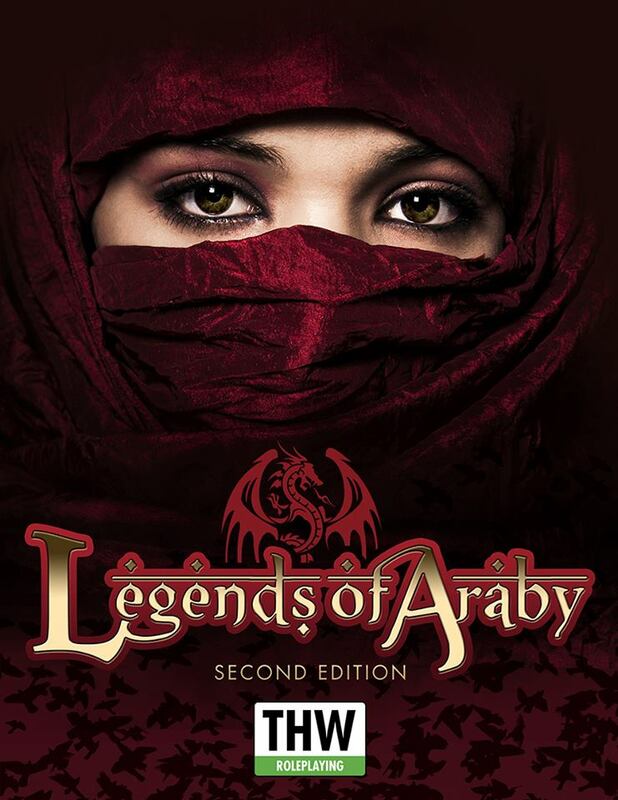 Pre-order now get 25% off! 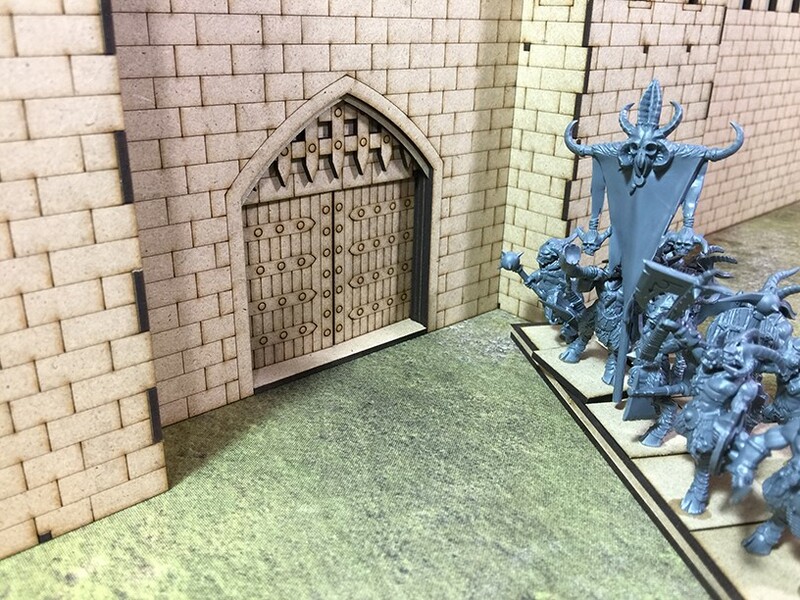 This castle is designed according to Warhammer Fantasy Siege rules. 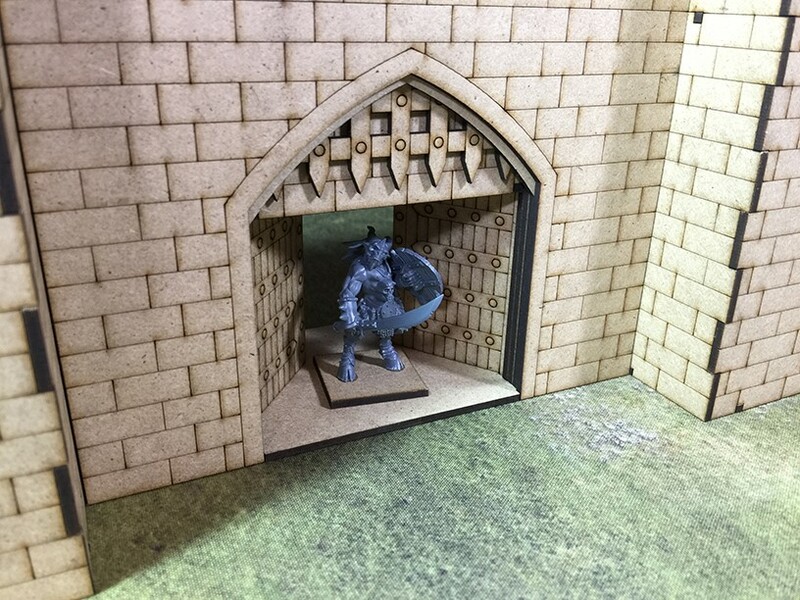 It could also be used in 28mm medieval games. The doors and hanging fence are movable. The tower roof is also removable. Please check HERE to see more pics. 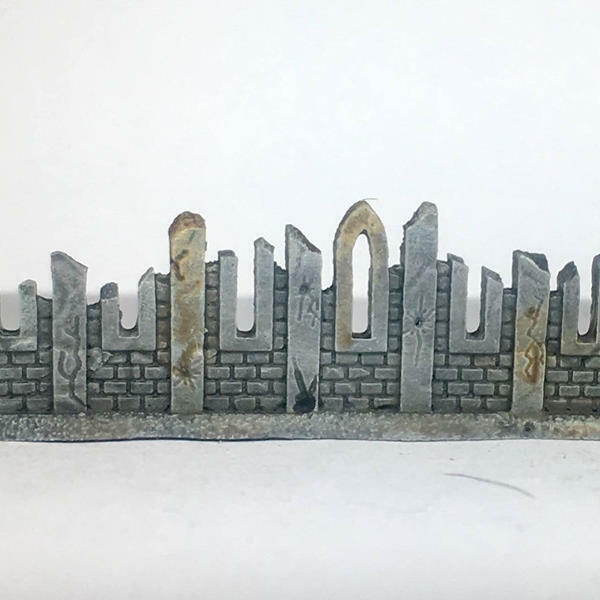 Gothic ruin strips for 6mm-8mm sci-fi and fantasy. Free Easter Hareball with any purchase. Every month this year RBJ Game Company will be having a different Holiday themed Hareball that you can get for free with any purchase. 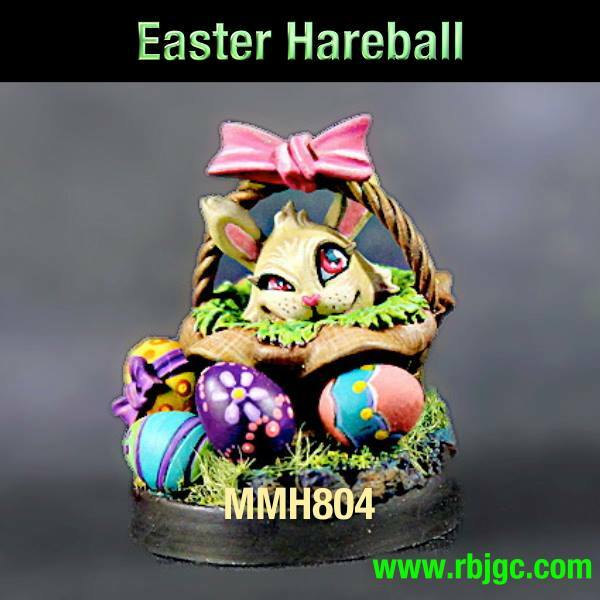 This April we are giving away the Easter Hareball. Cast in white metal and supplied with a plastic 25mm Round Base. Display model painted by Mary Profitt.